Note - I have LOADS more over at my Easy Weddings page. Paul made everything so easy. We wanted a really simple wedding and he helped us do that. There was no pressure at all, he was able to meet with us at my house which was so convenient. It was really lovely and casual, we felt so comfortable straight away. Paul would cover all age brackets - everyone was laughing throughout the ceremony. We really wanted a laid back, fun and casual ceremony, and Paul absolutely hit the mark. He made the whole process super easy for us, and managed to capture our relationship perfectly in his wedding script. Our guests have all said it was the best ceremony they'd ever seen. Paul was awesome and a perfect fit for our day. He managed to blend “hilarious entertainment” with “loving mushy wedding” to create the most perfect ceremony. Many of our guests commented that he was fantastic & we agree. Paul is highly recommended by us! 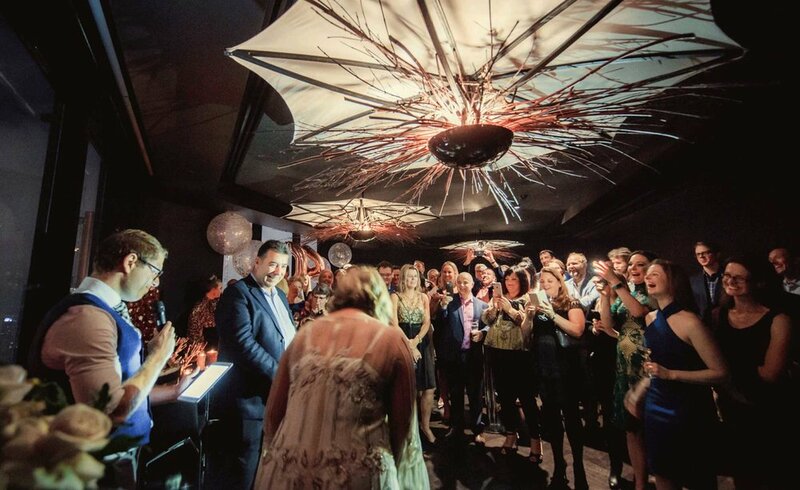 We had so many comments from our guests about how great our celebrant was. We were so comfortable with Paul, and he captured our story perfectly and told it in a way which was a perfect combination of sweet, funny, and serious to suit the occasion. So much fun! Paul was one of the highlights of our day. The raving reviews continue to roll in! He has an amazing ability to get people crying with laughter one minute and then with sincerity the next, it was just so entertaining. He was an absolute pleasure to work with!! A truly great guy! We met Paul for an initial chat and instantly knew he was our guy! Professional, friendly, relaxed and fun. Everybody loved the ceremony. It ran really smoothly under his guidance and was a great way to set the tone for the rest of the day. Fantastic! So easy to work with and he made himself available whenever we had any questions. Really easy to get along with and made the whole process really simple.